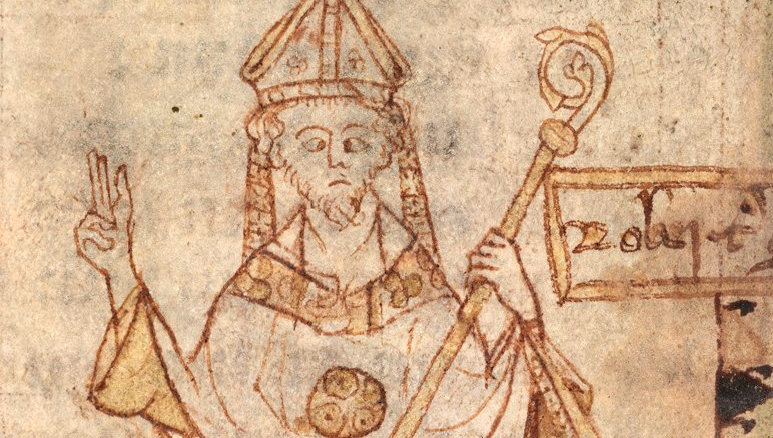 For the English scientist, teacher, theologian and bishop Robert Grosseteste (ca 1170 -1253), light was the fundamental first form that gave dimensionality and stability to the material world. In a dozen scientific treatises written in the early 13th Century, he postulated a physics of light, colour and the rainbow. In his De luce (on light) he extends it to the origin of the Universe in what has been referred to as the ‘Medieval Big Bang’. His arguments are so taut that they can be translated into mathematics – our resulting numerical simulations show that Grosseteste’s model does actually work. He also described the method for developing a universal principle from repeated observations under controlled conditions and argued that the explanation needing fewer suppositions and premises was the best. In his theory of colour, we have found through close examination of the manuscript evidence for his De colore (on colour) and his De iride (on the rainbow) and a mathematical analysis of their content, that he presents the first three-dimensional theory of perceptual colour space. A unique collaborative research approach has revealed new insights into Grosseteste’s thought, particularly on light. An interdisciplinary team of historians, scientists, linguists and philosophers has developed techniques of joint reading of the medieval texts that have shown them to be logically consistent and founded on mathematically based models. We reflect on how a study of this extraordinary medieval science can help throw fresh light on the history of scientific thought, and bridge the current perception gap between the study of science and humanities.